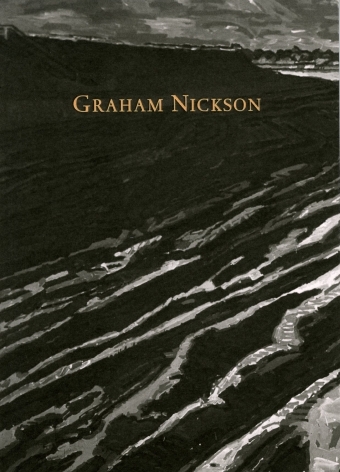 Graham Nickson was born in Knowle Green, U.K. He studied at Camberwell School of Arts and Crafts (B.A., 1969) and the Royal College of Art (M.A., 1972), in London. He was based in Rome from 1972 – 74, and since 1976 he has resided in New York City. 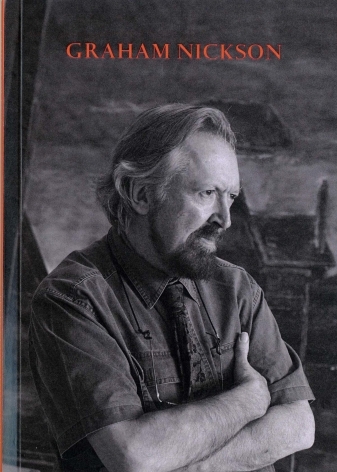 He has worked, traveled and exhibited extensively in the United States and abroad. 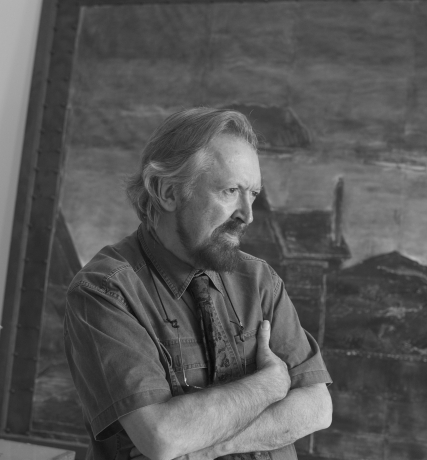 Mr. Nickson is the Dean of the New York Studio School of Drawing, Painting and Sculpture (1988 – present) where he also serves on the faculty. He is a recipient of the Prix de Rome (1972-74); the Harkness Fellowship at Yale University (1976 – 78); the Howard Foundation Fellowship from Brown University (1980 – 81); the Guggenheim Fellowship (1989); and the Ingram Merrill Fellowship (1993). THE BIG NEWS LAST SEASON WAS THE OPENING OF THE WHITNEY’S new home on Gansevoort Street, near the Hudson River, designed by the Renzo Piano Building Workshop. But there were also other attractions: sculpture exhibitions—abstract and figurative, current and historical— in the U.S. and Europe, as well as an equally wide-ranging, less geographically dispersed group of painting shows. The sculpture exhibits ranged from Vincent Barré’s recent works in France, to Robert Taplin’s witty narratives in Philadelphia, to Anthony Caro’s steel constructions from the 1960s in Los Angeles; the painting exhibits included abstractions by Thomas Nozkowski, Atta Kwami, and Larry Poons, landscapes by Julian Hatton and Graham Nickson, and an engaging, odd-ball installation by Summer Wheat, all in New York. 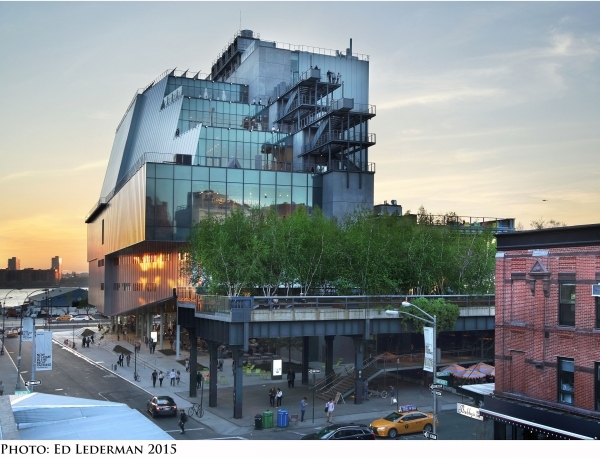 First: the Whitney. The consensus is that Piano got it right. The entrance to the museum, both from the street and inside the generous lobby—or as Piano calls it, “the piazza”—is welcoming, the relation to the High Line is appealing, and the way the building responds to the once gritty neighborhood without calling too much attention to itself is a welcome change from most of what has been erected nearby. The old buildings of the former Meatpacking District, with their deep canopies, still dominate as we approach, testimony to the neighborhood’s recent past, even though the shop fronts are now full of chic clothing instead of sides of beef. 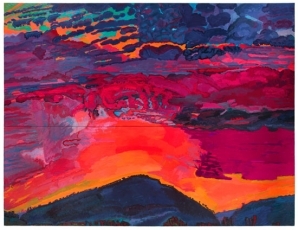 As a 26-year-old Rome Prize recipient in 1972, Graham Nickson was already so convinced of painting’s transcendent power that he began testing his own painterly mettle with a hazardous subject: sunsets. 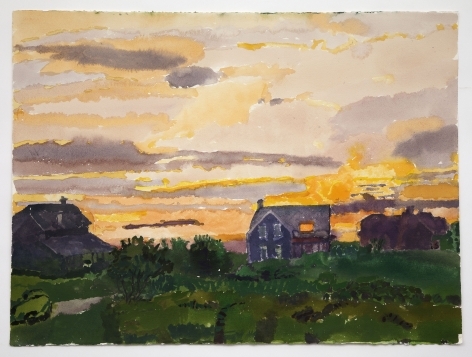 If to the art world painting itself was marginal, sunset pictures were the epitome of trite irrelevance. 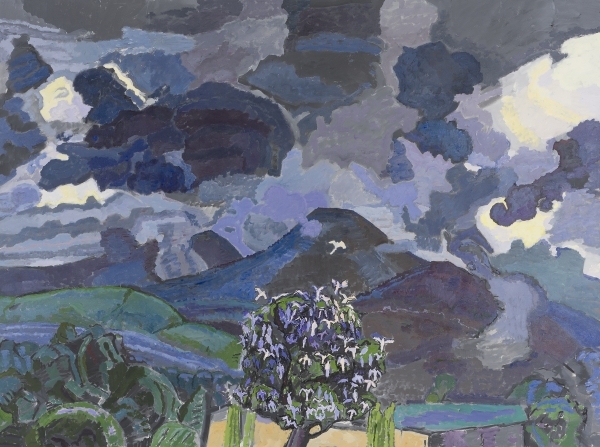 For nearly 40 years since then, as the skies and landscapes in “Paths of the Sun” make clear, the New York-based British artist has stepped ever farther out on this limb, returning with increasingly eloquent work. The show juxtaposed 12 early small oils (1972–73) with 29 watercolors and three large canvases, all made from 1999 to 2011.